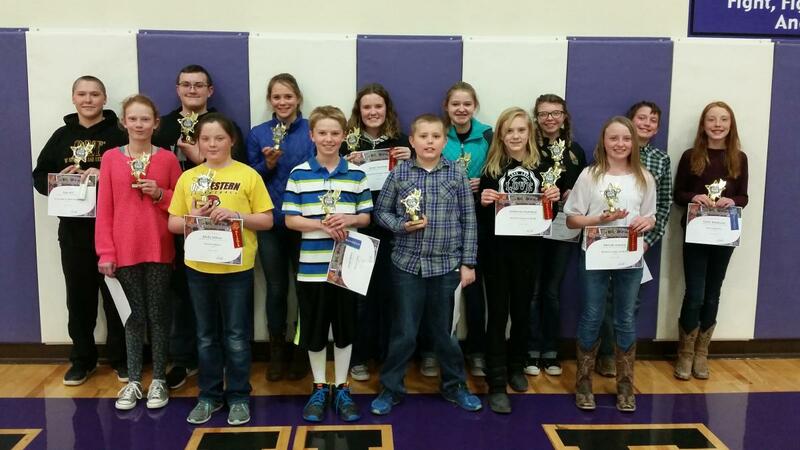 Ennis Schools had a great showing at the Regional Science Fairs held at Montana Tech in Butte. The Division I Regional Science Fair was held on Mon., March 5 and the Division II Regional Science Fair was held on Thurs., March 8. The high school participants brought home the 2nd Place Small Schools Trophy. The Rural School Science Fair was held on March 2 at the University of Montana Western in Dillon. Eight rural schools from Beaverhead, Silver Bow and Madison counties participated. Students in grades K-8 competed in this event with many science categories. Sheridan Schools is very pleased to announce the Students of the Month for January. Students are chosen by faculty and staff members based on the following criteria: citizenship, leadership and academic attitude. The Sheridan FCCLA Chapter was awarded a Vision Zero grant from the Montana Department of Transportation, Ford Driving Skills and Montana FCCLA to plan and conduct a project to encourage safer driving in Montana. Members carried out several projects which included a resource fair for all those in grades 7-12. ALDER – Following suit with most other Madison County Schools, the Alder School Board voted to have the Madison County Clerk and Recorder’s Office handle their upcoming school election. Chair Kaycee Gilman reported the school board voted unanimously Feb. 15 to hand over the school election to the county. Softball is officially a go after the Ennis School Board voted to allow a program on a two-year trial basis. After several motions and amended motions, the board voted to allow a softball program, contingent on raising $30,000 in startup costs by June 30, with a program evaluation after each season. 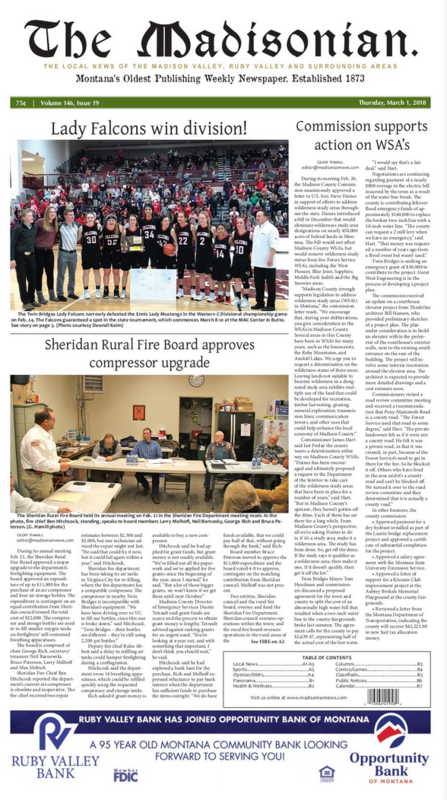 Renewable energy was the main topic of discussion during the Sheridan School Board meeting Feb. 13. The board is considering integrating solar power at the elementary school building. Sheridan School held a Science Fair on Feb. 7 and winning students will move on to represent the school at the Regional Science Fair to be held at Montana Tech on March 8.